LarryA2010 wrote our favorite comment of the week. 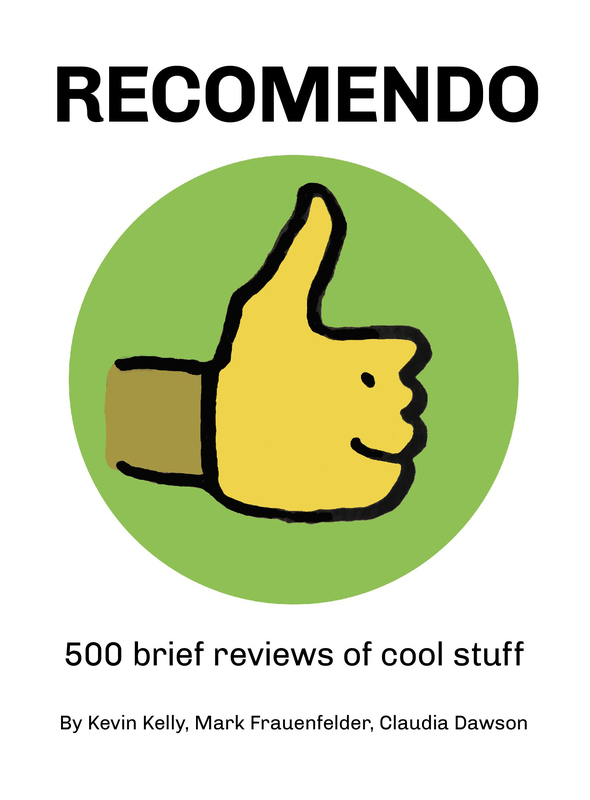 He will receive a copy of the Cool Tools Catalog. Thanks, Larry! I don’t see this as anything “cool” or out of the ordinary. 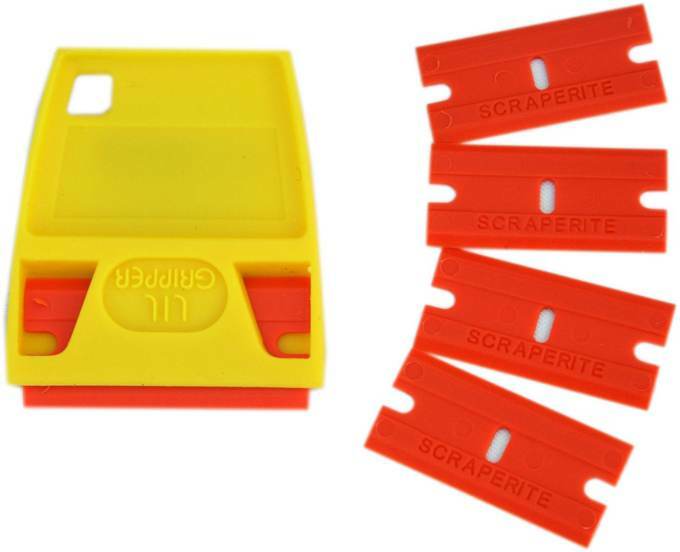 What I did find cool, and useful, was the ScrapeRite Plastic Razor Blades. A much more common problem than decals on windshields, which you deal with, at most, once a year, is those virtually unremovable price stickers and jar labels on PLASTIC. You can’t use an ordinary razor blade on plastic.These plastic blades work a lot better than a fingernail or butter knife. I had to sharpen the edges with 1000 grit wet-or-dry first, and then they worked fantastically. I have to often apply a little naphtha to help it along, and then wipe with naphtha to remove any residue. It is the only readily available solvent that does not dissolve plastic. The plastic holder that comes with them is a piece of crap (can I say that?). It opens up while in use. I usually just hold one in my fingers. I haven’ tried fitting one in the above scraper but they are the same size as single-edge blades so would probably fit.